The first meeting between Army Capt. Ted Hill and his battalion commander at Cu Chi in Vietnam in 1969 pretty much sums up Hill’s memoir, Pushing Limits: From West Point to Berkeley & Beyond (American Mathematical Society, 294 pp. $45, hardcover; $25, Kindle). After reviewing Hill’s C.V., which included West Point, Stanford graduate school, and Ranger training, the commander rose, shook Hill’s hand, and said, “You look like a leader to me.” Hill thanked him but said he felt that he did not have the right to learn combat engineering at the expense of men’s lives. Ted Hill’s reward for honesty was a series of unconventional and dangerous duties, often at the shoulder of his action-hungry commander. The second half tells just about everything you would want to know about the study of mathematics at the highest levels. 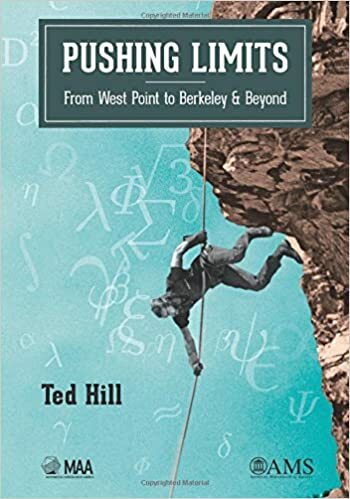 Hill’s references to subjects such as Kolmogorov’s Strong Law of Large Numbers; the law of the iterated logarithm and the central limit theorem; and Markov chains opened doors beyond the fringe of my mathematical knowledge. After years of study and reflective thinking among “pure and applied postgraduate math majors who were the best of their generations,” and while still marching to the tempo of his own drumbeat, Hill received a PhD from U.C. Berkeley in theoretical mathematics. After devising an improvement in state employment practices, Hill became a faculty member at Georgia Tech. His fluency in several languages qualified him as a visiting lecturer overseas. Riding the crest of his genius, Ted Hill’s contrarian nature emerged one last time: As a whistle blower, he challenged Georgia Tech administrative practices that led to “financial misdeeds.” Years of investigations by school administrators brought some positive changes. They also brought Hill’s involuntary early retirement at age sixty. Hill’s tendency to see many situations in life as problems to be solved enhances the book’s readability. He seeks to improve whatever he can. His determination to pursue problems to their conclusion won my admiration. 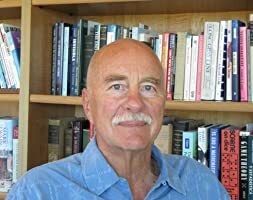 This entry was posted in Electronic Book, Memoir, Nonfiction, Vietnam War, Vietnam War memoir and tagged Pushing Limits, Pushing Limits From West Point to Berkeley and Beyond, Pushing Limits Hill, Pushing Limits Ted Hill, Ted Hill memoir, Ted Hill Vietnam War by vvaposted. Bookmark the permalink.